Want To Grow Your Business Naturally? It’s a simple fact – if you don’t know what your business needs, it’s hard to encourage it to grow. Despite your best efforts, without the right nutrients, it may stay alive but it won’t thrive, leaving you feeling disheartened and disillusioned. There is a way to get clear and specific about the strategies and resources your business needs right now so it can grow. 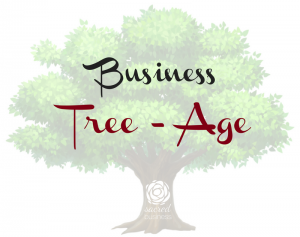 It’s called the Business Tree-Age (yes, it’s a triage for your business tree!). By invitation only, I offer a private 20-minute consultation with me, to set you on the most efficient path to growth. My intention is to give you a solid understanding of your business needs and point you in the right direction. This may involve becoming a Sacred Business client or being referred to another trusted service provider in the Sacred Business network. Verify what stage of business you’re in. I will assess what milestones you’ve reached in your business development so I can offer you sound growth advice. Suggest strategies specific to your stage and the nature of your business. I will give you the most effective, laser-focused steps to yield growth results in the areas of creativity, stability, reach, and refinement. Recommend services or resources that may assist with growth. I will be honest about what I think your business truly needs, which may be one of the Sacred Business services, or another specialist I recommend. It’s not for people who don’t have a business yet (if that’s you, contact me here instead), or if you want hustle-based, fast-track results (that’s not what Sacred Business is about). If you’d like to apply, please fill out the form below and I’ll contact you by email. If for any reason, I don’t feel like the Business Tree-Age isn’t what you need, I’ll do my best to help you find what you do need.